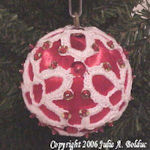 Freedom Ball Ornament -- $1.99 A Crochet pattern from Julie A Bolduc. 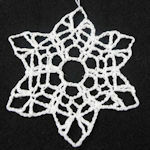 This ornament is made with beads in every single round. 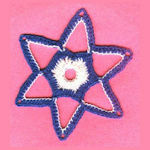 I used red, clear and blue beads in it but you can use what ever color you choose.